kids love all sorts of things. and their list of favorites is ALWAYS changing. right now, my boys center their lives around cartoons, playground swings, light sabers, carbs and animals. but their penchant for our furry friends has a held a permanent place on the list thus far (other than carbs but that kind of goes without saying). 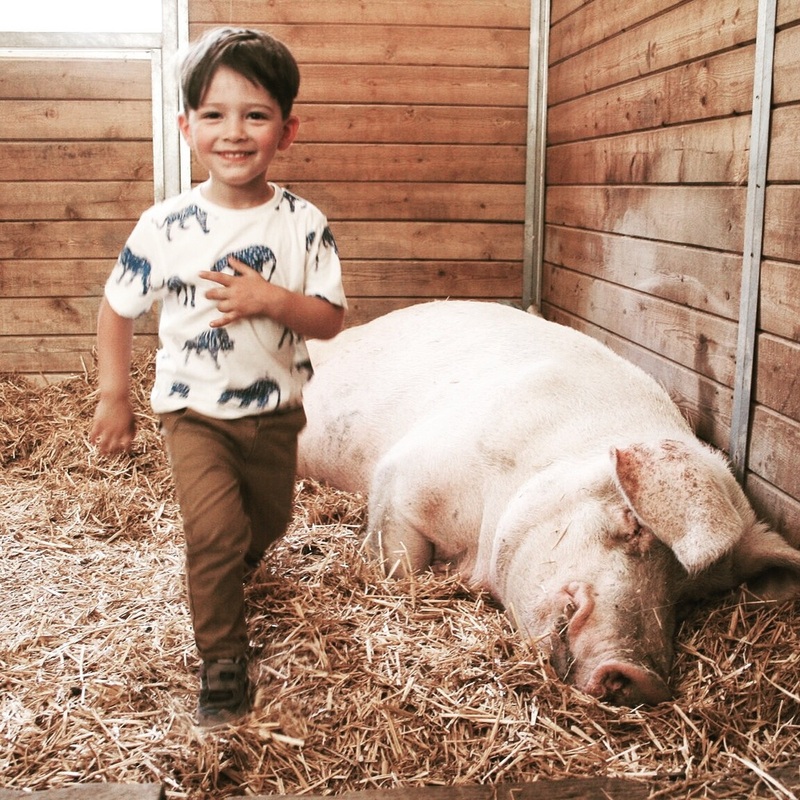 so i rounded up my cheek boys one fine sunday morning and we paid a visit to the gentle barn. 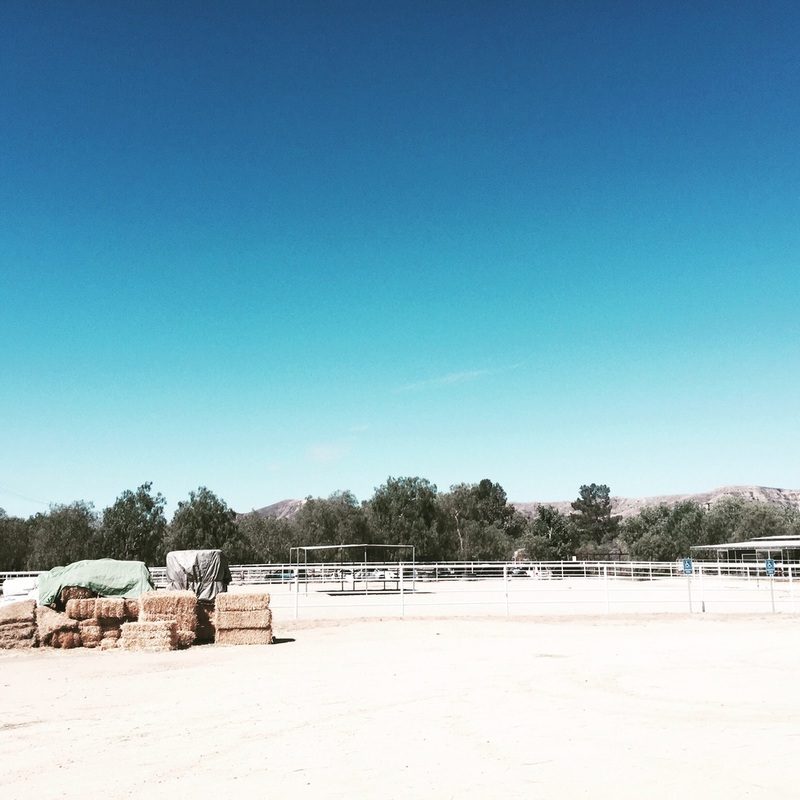 located on a farm just north of us in santa clarita, the gentle barn is an animal rescue organization that takes in farm animals from abusive, neglectful and abandoned situations. home to horses, pigs, turkeys and goats to name just a few, these animals have no where else to go and are given a place for the rest of their lives. 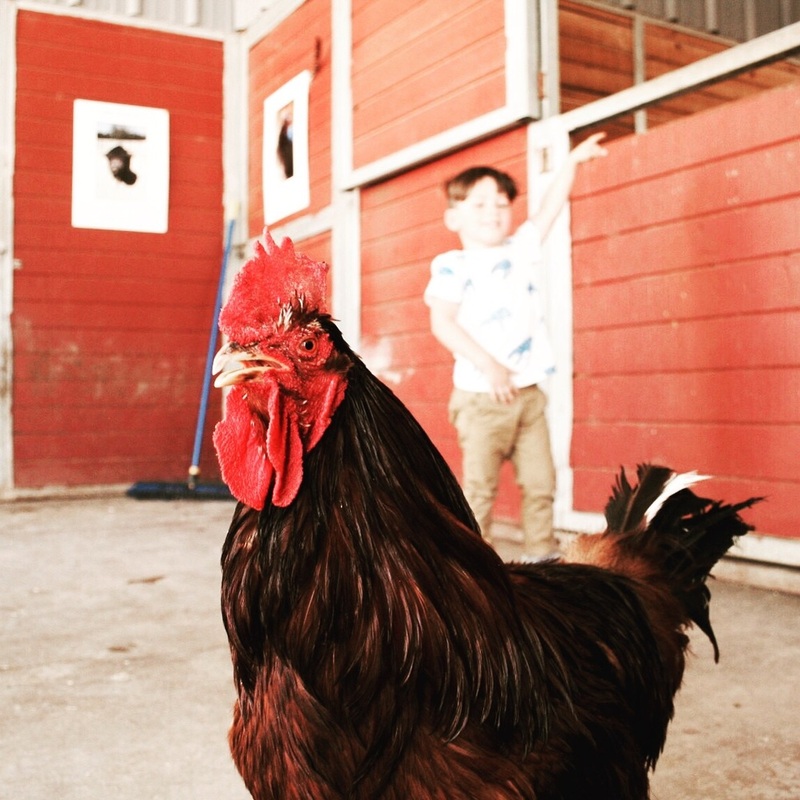 the volunteers at the barn rehabilitate them so they can then teach people how awesome farm animals are. it was crazy to hear that these animals were unwanted or victims of mistreatment because they were all absolute dolls. especially this horse here, ceasar the retired actor! anyway, the gentle barn has been on my list of places to visit since before i had kids, so this visit was long overdue. some photos! their site advises visitors wear long pants and a hat. ok, so one really big hat makes up for bare legs and arms, right? because did I mention it was about 95 degrees out that day? well it was! the barn is broken up into sections and our first stop was a visit with the cows (they were the closest). i thought for sure max would make note of their eye masks because hello masks are the raddest when you are a three-year-old. but i think he could tell these masks were different. they actually wear them to keep flies out of their eyes. shoo flies! truly beautiful creatures. it's not everyday we get to interact with them so close up so we were loving it. so i didn't know this. but horses move their heads back and forth, up and down a lot. like a really a lot. and sometimes really fast. so fast they startle the heck out of you. and then you make THAT face. now this is here is addison, the sweetest carrot loving donkey ever. EVER EVER! knox mostly fed her because she grabs food with her lips, not her teeth like the horses do. knox couldn't really get the hang of laying your palm out to feed them so we had to cut him off (haha?) from the horses. luckily, he was pretty happy feeding addison. i mean, how could you not be? and ginormous pigs. this bad boy was audibly asleep, i.e. snoring, so we got to creep on him and pet his big old belly. and he wasn't nearly as smelly as i would have imagined. oh hi! i'm smiling but inside i was cursing my decision to wear a linen dress. most annoying fabric ever. so all that farming around had me craving some meat. haha yea right. but we were pretty hangry. the barn does sell food, including grilled vegan sausage. you are also welcome to bring your own food, they just ask that you bring vegetarian fare out of respect. AMEN! these turkeys. i'm so happy they had fun. it was so peaceful out there i even imagined what it would like if josh and i retired on a farm one day. i must have went crazy. the heat perhaps? dehydrated? had to be something. after all, i'm a city girl at heart... no farm life for me. but happy to visit.